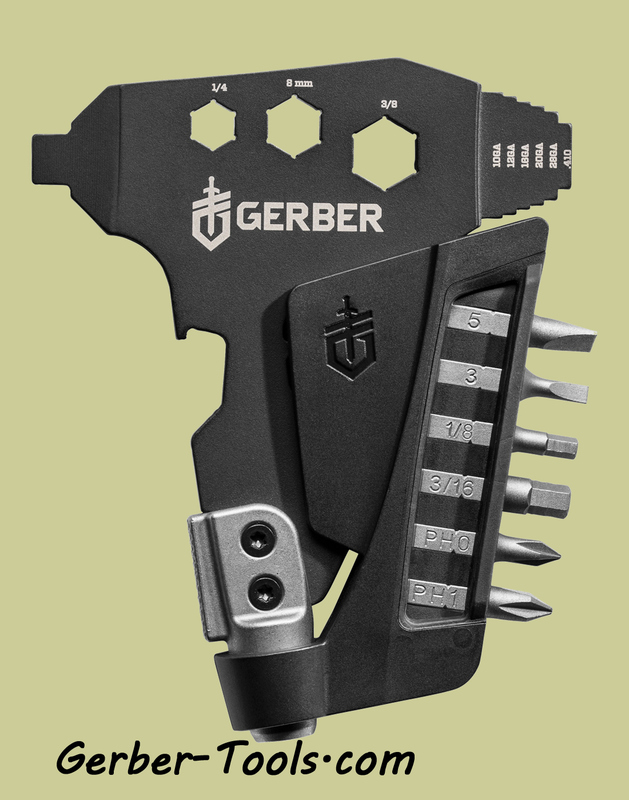 Gerber Span Shotgun Solid State Tool 31-002945. 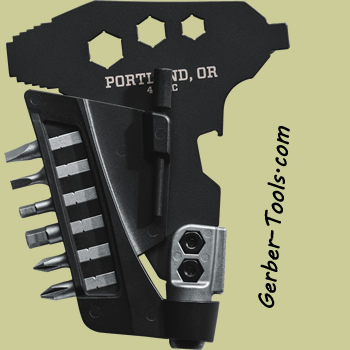 This compact tool offers 14 different functions to repair and maintain a shotgun. 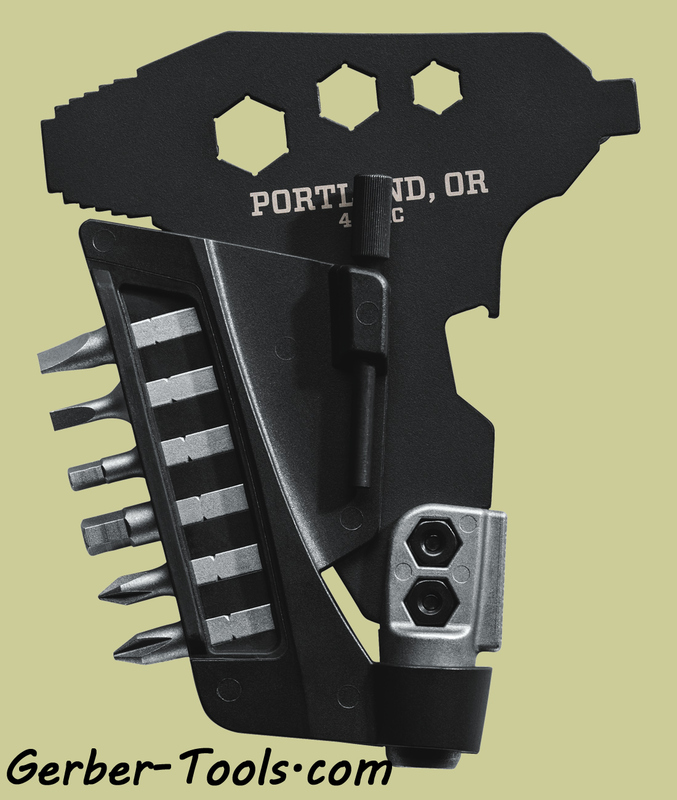 It contains a choke tube wrench for pattern adjustment, a 1/8 inch punch pin, elevation and windage scope adjustments, three sizes for hex wrenches, integrated hammer, 1/4 inch bit driver, removalbe bit holder with 6 bits, and a bottle opener. It has an overall length of 8.2 inches. Tool and Bit Holder Made in the USA.